Here’s the total below. I’ll be adding in detailed entries as I set them up for spore prints. 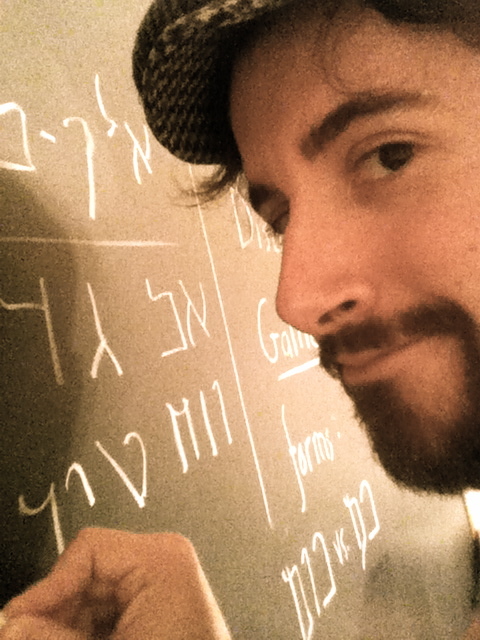 I figure that this blog is the best method to keep a mushroom journal. Second Row: 1 unidentified white mushroom growing on debris, a handfull of Marasmius oreades (Fairy Ring Mushroom) caps, 8 small Agaricus campestris (Meadow Mushroom). 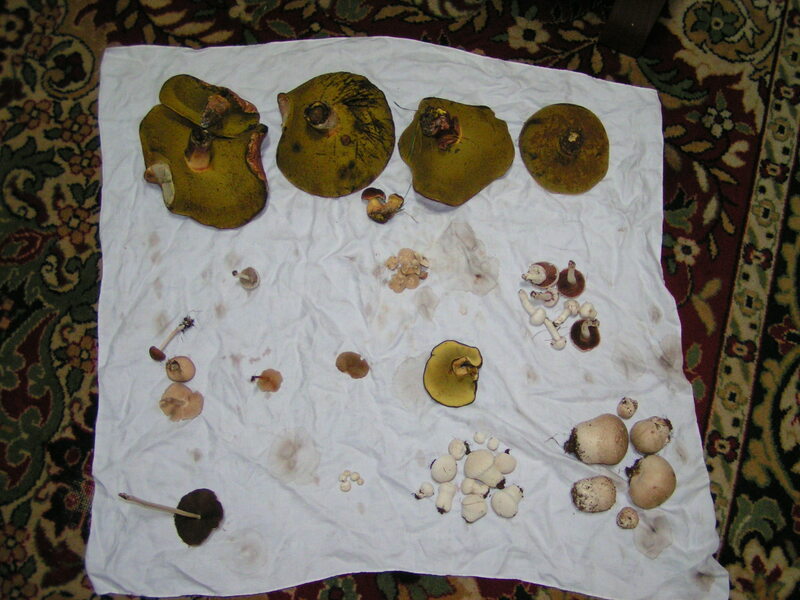 Third Row: 3 unidentified field mushrooms, 1 unidentified field mushroom (possibly the same as the first, but different stem color), 1 Gyrodon merylioides (Ash Bolete). Fourth Row: 1 unidentified Psathyrella(? 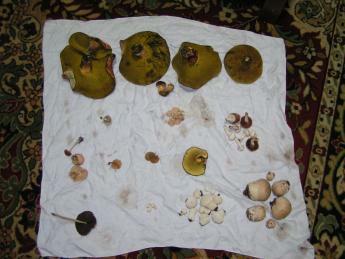 ), 5 small assorted Puffballs, 11 Lycoperdon, 6 Calvatia. 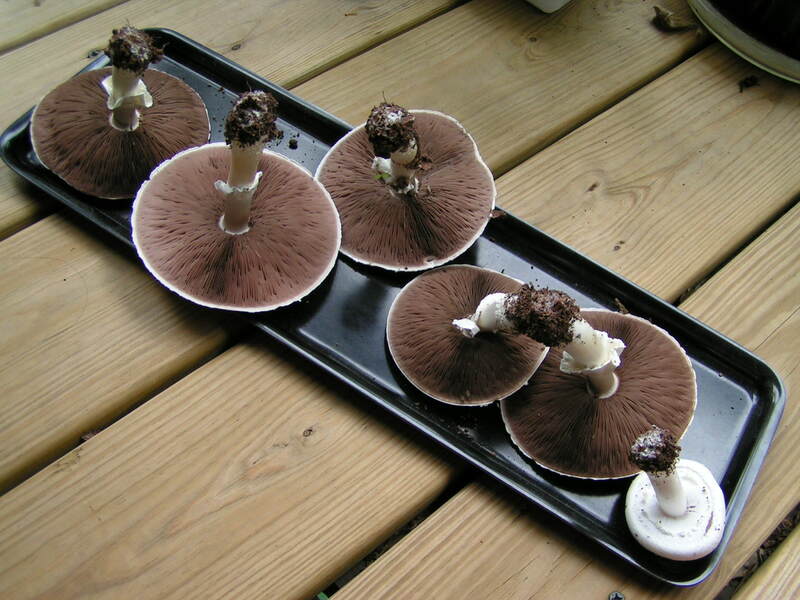 And then there are 6 possible Agaricus of some persuasion or another, but there are some features that may prove otherwise.